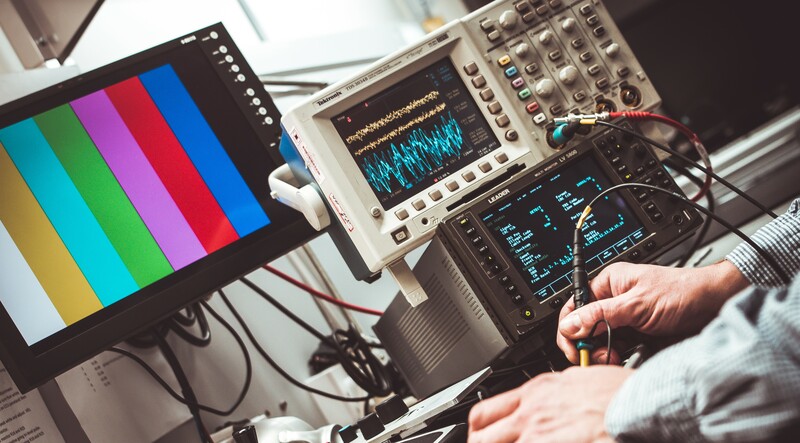 Close to absolutely every single company is using new technologies to obtain better results, especially in highly competitive industries such as the manufacturing world. Obviously enough, companies and manufacturers are continuously looking to reduce costs in order to obtain bigger margins. The term cobot is short for collaborative robot, that is, robots that are designed to work together with people in semi-automated lines. A staunch follower of this trend is Sewbo, which has shared a very innovative idea related with cobots. Sewbo is an start-up that has been able to use the Universal Robots UR5 for clothes manufacturing. They have chemically treated fabric to tighten it to move along with the UR5 and sew it easily. Thus, Swebo has reduced almost completely human intervention in clothes manufacturing. Drones: these flying devices are mainly used for outdoor activities but manufacturing is usually an indoor activity. The implementation of drones in factories is more limited compared to other industries such as farming, agriculture or the cleaning and inspection of overhead lines. However, drones are starting to be used for security and safety and in the maintenance of big plants. 3D printing: a very fast-evolving trend, it is still used for prototyping and small series. Many companies are incorporating it to reduce costs in manufacturing. 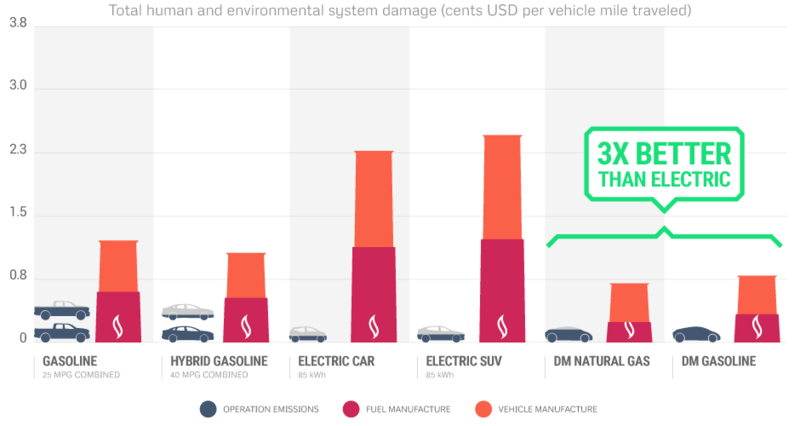 What is more, 3D printing is also a useful way to reduce emissions because, according to a US National Academy of Science report, a big amount the automotive industry’s pollution comes from manufacturing, as it is shown in the graph below. An example of a company that follows this trend is Divergent 3D, which debuted their 3D printed car (the Blade Supercar) a year ago and has just signed a collaboration contract with PSA Group. They are planning to launch a new range of super-lightweight cars built with Divergent Microfactories technology (DM), which is planned to generate a third of total health and environmental damage of an 85 kWh all electric car. Automated/Laser Guided Vehicles (AGV/LGV): A few years ago, companies looking for high optimisation and cost-reduction started to replace their lift trucks driven by people and started to use AGVs. This trend is specially used in industries in which an automated line with little human intervention ends up in a big pallet, such as the beverage or automotive industry. An example of real implementation of this technology took place in the Toyota Motor Manufacturing, Kentucky (TMMK), where they reached an annual labor savings of 317 days an annual overall savings of approximately $1 million. Warehouse management robots: these robots made an appearance some years ago and, nowadays, big warehouses where homogeneous pallets are used are completely automated. Nevertheless, a new trend is recently gaining force: the automation of small warehouses in which people walk around shelves all day to pick up different objects. Some companies working to consolidate this path are Kiva Systems and Fetch Robotics. Internet of Things (IoT): last but not least, IoT is one of the hottest topics nowadays. This trend of connecting devices is still developing and improving, and in the near future, it will be used in many different sectors such as energy, retail, healthcare, smart buildings, smart transportation and smart manufacturing. It will, in theory, reduce costs, improve productivity and therefore increase revenues. These are some of the most important tech trends, but for sure many new trends coming in the following years. Which one do you think that will have a greater impact? Can you implement any of these technologies to come up with a good solution for our challenges?